Cabo's most picturesque resort, One&Only Palmilla, is also home to one of the world's most thrilling and picture-perfect golf experiences! 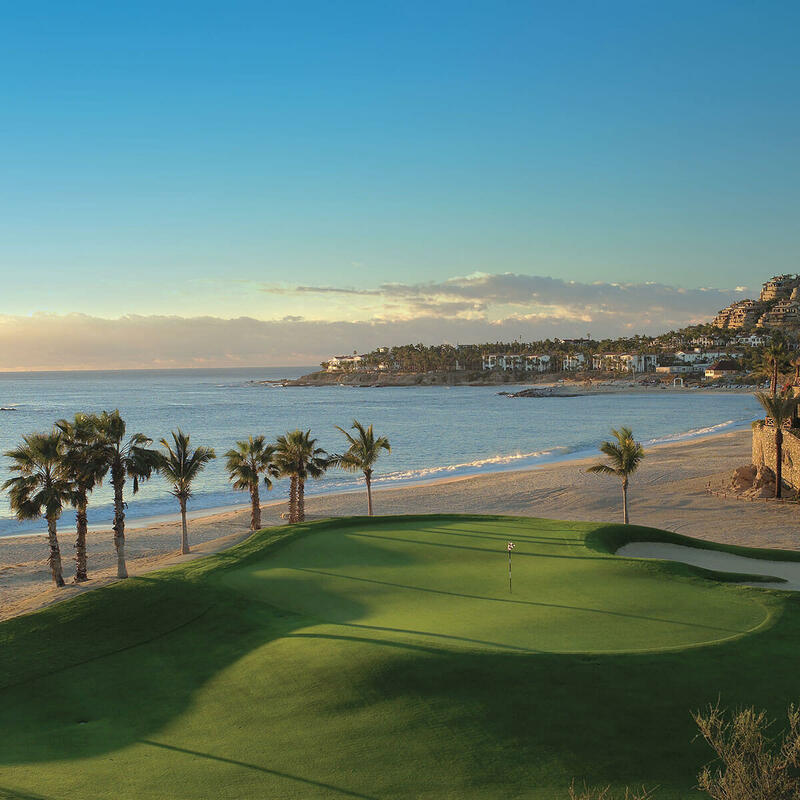 One&Only Palmilla's legendary Jack Nicklaus signature-designed course, his first in Latin America, treats golfers to challenging play and stunning ocean views from each and every fairway. You'll also enjoy two rejuvenating 60-minute sport massages, round-trip airport transfers, and a $150 resort credit. For more information visit us online by CLICKING HERE or call (877) 792-2104 for reservations.